Sea Machines' industrial-grade systems are easily installed aboard existing commercial vessels, or can be included in new-build packages. 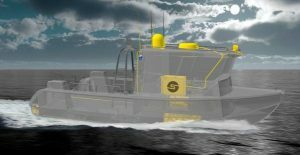 They are specially designed to enable remote and autonomous operations of all types of commercial vessels. You have questions about Sea Machines systems and we have answers. Here we’ve compiled information in response to the most commonly asked questions. How do Sea Machines systems work? Sea Machines uses proprietary TALOS technology (“the brain”) to connect a vessel’s propulsion machinery with the navigation sensors to allow for autonomous and/or remote control. This connectivity makes autonomous and/or remote mission planning, pilot-ready navigation and common workboat routing tasks possible, and allows the system to serve as a data recorder. TALOS also features built-in middleware to accept third-party, software plug-ins for payload control and data collection. What kinds of commercial vessels are ideal for a Sea Machines system? 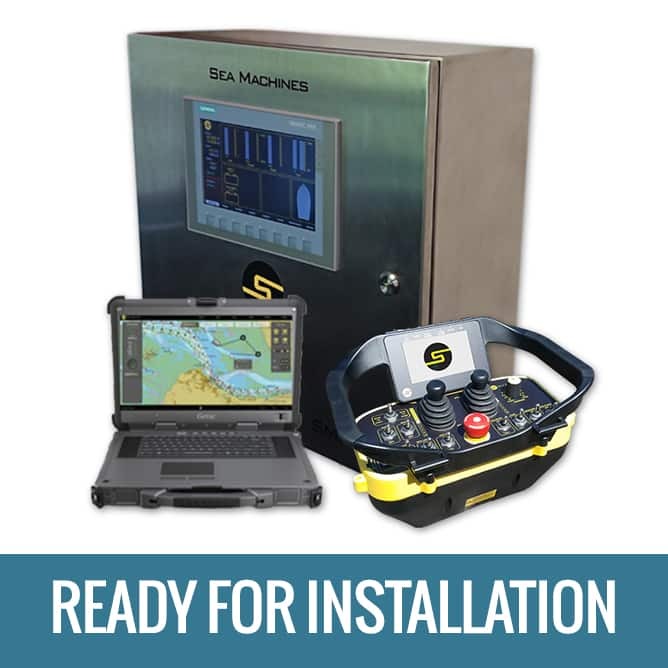 The Sea Machines system is vessel agnostic, so it can be installed on nearly any type. 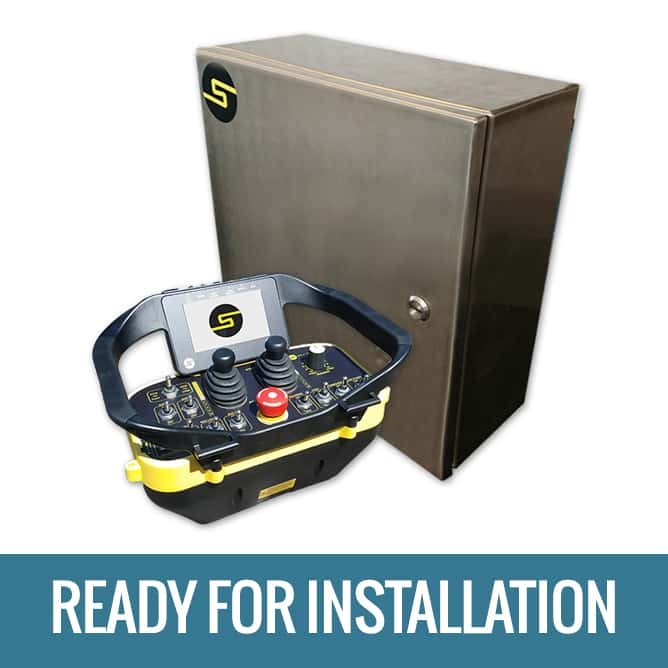 Depending on the applications, the SM200 or SM300 can be installed on workboats for hydrographic/seismic survey, security craft, spill response, aquaculture or dredging applications. SM400 is well suited for applications in shipping and passenger transportation. Can Sea Machines products be retrofitted aboard existing vessels? Yes, most Sea Machines products can easily be retrofitted aboard existing vessels. Whether a workboat is older with mechanical controls or a more modern one with “drive-by-wire” networked components, our products will interface with the installed machinery. To date, our systems have been retrofitted aboard boats with twin- and single-engine outboards, stern drives and those with conventional shafts. We can also integrate into Dynamic Positioning (DP) systems for both azimuth thrusters and jets. A Sea Machines retrofit typically takes just a couple of weeks and requires no more than 10 components, depending on the vessel and equipment used. To maximize operational output, we review each customer’s machinery and applications carefully to develop an individualized retrofit plan. What kind of connectivity is required on board to use Sea Machines systems? Sea Machines has proprietary technology that manages data usage relative to an operator’s tasks. The data bit rate for Sea Machines is less than 128 kbps (without imagery). For applications requiring control from approximately three to five miles away, broadband radio can be used. For broadband applications of requiring further range, advanced technology is available to reach around 10 to 15 miles. For applications that require more flexibility, 4G connections are possible, subject to network availability per location/region. VSAT connections are the necessary option for ocean-crossing vessels and for those with imagery-intensive data loads. Sea Machines systems feature advanced security measures that protect both hardware and software from external vulnerabilities. The hardware components operate with encrypted software, and VPNs are used to protect the customer’s network connection. Are autonomous vessels really entering the market? 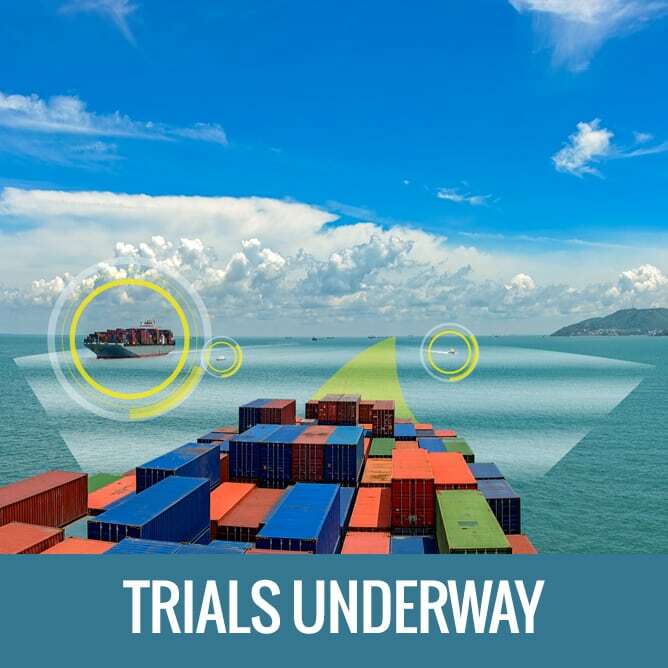 Yes, industry leaders know that it’s not a matter of “if” autonomous vessel technology is happening; rather it’s a matter of “when.” Sea Machines is working at breakneck speed to make autonomous technology a reality faster. In the future, we predict that variants of our systems will be standard on all marine vessels. How does the industry regulate autonomous vessels? While the exact regulations are still being developed, the International Maritime Organization (IMO) has officially commenced work to look into how safe, secure and environmentally sound Maritime Autonomous Surface Ships (MASS) operations may be addressed. As progress is made, Sea Machines is fully engaged and cooperating completely to ensure customers meet or exceed with industry requirements. Review our Unmanned Surface Vessel (USV) Operations Manual and Code of Conduct document (.PDF).